Due to manpower constraints, the UCCS Extension Unit of the Air Force Reserve Officers’ Training Corps (ROTC) Detachment 105 will close before the fall semester. Cadets will instead have to take Leadership Laboratory and Aerospace Science classes at the CU Boulder location once the fall semester starts. UCCS students for many years have participated in the CU Boulder Air Force ROTC unit. This required them to travel to Boulder to take their military science classes and participate in the AFROTC Detachment 105, but that changed in the fall 2017 semester when UCCS gained this program. According to Litchfield, the Boulder unit agreed to assign some personnel to UCCS to gauge student interest levels. “We had a standing agreement with [Boulder] that would allow either parties to withdraw from the agreement with six months of notice,” said Litchfield. UCCS was notified that the Boulder unit would no longer remain in the agreement in December. “We were hoping that this would run for a couple of years while we tried to get our own unit, but the [CU] Air Force had some manpower issues that resulted in them pulling out from the agreement, ” said Litchfield. Colorado Springs is a military community. In the area, there are six bases: Peterson Air Force Base, Cheyenne Mountain Air Force Station, the Air Force Academy, Schriever Air Force Base and Fort Carson Army Post. “It was not a surprise that we had as many students as we did interested in the Air Force. We would like that capability to be on campus,” said Litchfield. Litchfield said that there were around 83 students in the UCCS cadre at the end of the fall semester. Cadets and leaders on campus were simultaneously made aware of the Boulder unit’s decision. Assistant Operations Officer Captain Julio Mueckay notified cadets of the change early this year. Litchfield was unsure what those alternatives would look like, but he did meet with the Colonel James Hudson of the Air Force ROTC units in the northwest part of the country, including Boulder. “He and I have been talking about the ways in which we can support students going forward,” said Litchfield. In order for UCCS to have its own unit, paperwork requesting a unit must be filled out for the Secretary of the Air Force. The entire process requires a tremendous amount of political support. Litchfield said that UCCS hoped to be able to give cadets news of what their options are mid-way through spring semester. “We know that cadets want to make plans. We want them to find their academic journey here and if that results in a commission in the Air Force afterwards, we support that,” he said. According to Litchfield, ROTC students, in general, have a tendency to be more persistent in terms of their ability to get to graduation. ROTC students reap many benefits in team working, leadership and other personal skills. 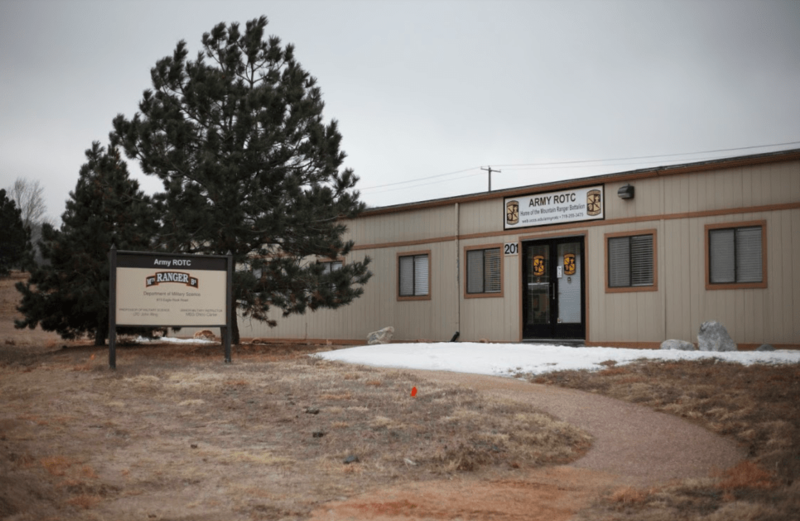 The UCCS cadre declined to comment on the Extension Unit of the AFROTC Detachment 105 closing.